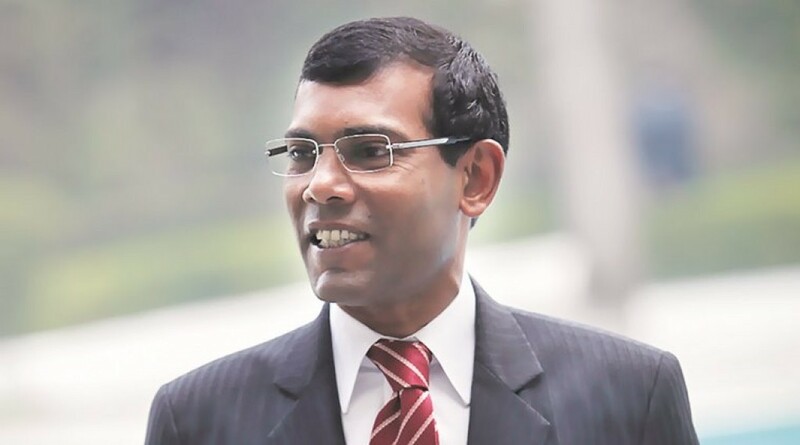 Colombo, April 16 (newsin.asia): The Maldivian government on Sunday rejected the UN Human Rights Committee’s demand on April 4, that former President Mohamed Nasheed be released and allowed to contest the Presidential election expected to be held in September this year. In a statement , issued by the Foreign Ministry, the government said that Nasheed had been sentenced to 13 years imprisonment in 2015 for abducting a sitting judge which, as per the Prevention of Terrorism Act of 1990, was a terrorist act. The government holds the conviction of Nasheed as “lawful and final,” the statement emphasized. “The conviction had reached finality after the decision of the Supreme Court on 27 June 2016,” it explained. The government lamented that though a detailed submission was filed in response to complaints voiced before the committee, very little, if any, consideration had been given to those submissions. “Having attempted to subvert the course of justice and dismantle the judicial branch of the State, both while in Office and since leaving it, former President Nasheed was charged for having ordered the abduction of a sitting judge,” the government statement recalled. Under Sec 2 (b) of the Prevention of Terrorism Act of 1990, the intention of kidnapping or abduction of person(s) or of taking hostage(s) is a cognizable terrorist act. “President Nasheed had confessed through various public statements, both in local and international forums and via media, that the arrest of the judge was in response to his wishes and that he would do it again,” the statement pointed out. “Nasheed contested the Presidential Election in 2013 while the initial judicial process was still on. Both his contestation and the national campaign he led, refute the assertion that charges against him were intended to hinder his political aspirations,” the government contended. “As Nasheed has been convicted lawfully, the restrictions on his political participation and association are justified and reasonable under the laws and regulations of the Maldives as well as the rulings of the courts of the Maldives,” the statement said. Since Former President Nasheed was convicted on 13 March 2015, and sentenced to 13 years of imprisonment, he would not be eligible to run for the Office of the President unless a period of three years has elapsed since his release or pardon, the government said. The government also notes that the former President was granted permission to travel abroad to seek medical treatment and that following expiry of the medical leave, he has not returned to serve his sentence and therefore remains a fugitive. For these reasons, Former President Nasheed’s conviction disqualifies him from running in the Presidential election, for the term of his sentence and for an additional three years.